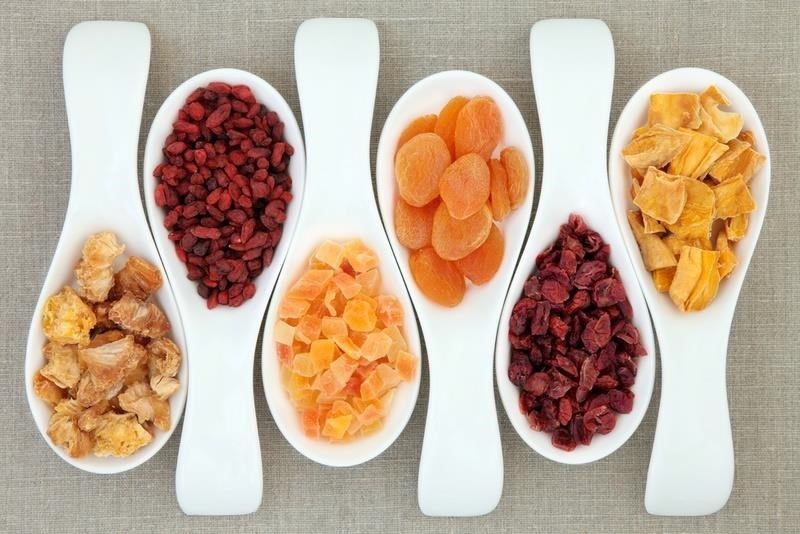 Dried fruit makes a great, healthy snack by itself, and it's a nice addition to both sweet and savory dishes. Most people assume you have to have a dehydrator to make it at home, but you don't really need one unless you plan on drying fruit pretty frequently. Your oven does the job just fine. Drying fruit in an oven is a pretty simple process: just bake it at a low temperature for a long time. It's usually cheaper than buying dried fruit from the grocery store, and a great way to use extra fruit you won't be able to eat in time. The only downside is it takes at least a few hours, and sometimes all day. You can vary the temperature to change the texture or speed up the process. Higher temperatures will take out more moisture, while lower temperatures usually result in a chewier texture. The typical range is 135 to 200 degrees, but don't go much higher than that or it'll cook instead of dehydrate. Here are some examples of fruits that dehydrate well in the oven. None of the time and temperature recommendations are concrete, so feel free to change them to match the texture you want and the amount of time you want to spend. Apples can take anywhere from 10 to 20 hours to dry in the oven, depending on the type of apple and how thick you slice them. For thick, semi-chewy slices like these from Popsugar, cut them thicker and bake at 150 to 200 degrees until they reach the consistency you're looking for. 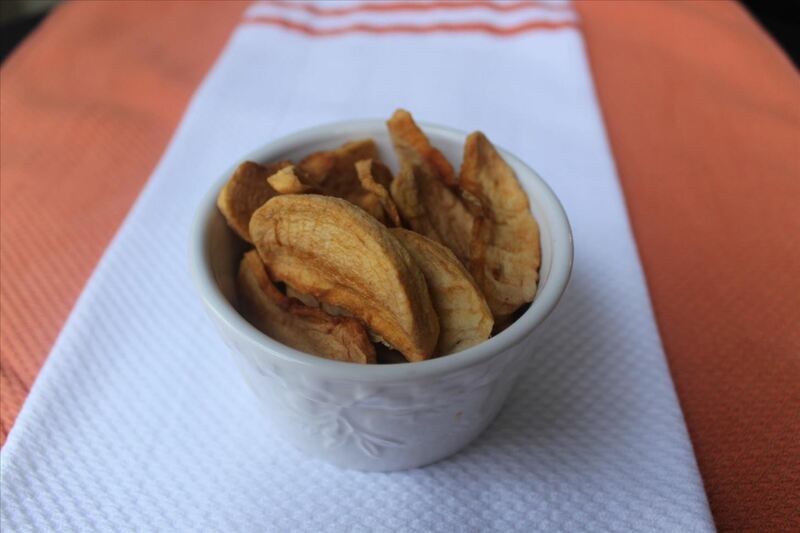 If you prefer crispy apple chips, slice them super thin and bake at 225 degrees. Anjali Prasertong from The Kitchn made these ones in about 30 minutes, so they're perfect if you're looking for a quick snack. Berries require almost zero effort—just spread them out on a baking sheet and pop them in the oven. Blueberries, cranberries, and even strawberries (which aren't technically berries at all) dehydrate well in the oven. Cherries have to be pitted first, so they take a little extra attention. Julia on Blissfully Content baked hers at 135 degrees for 10 hours. You can cut down the time to 6 to 8 hours by turning the heat up to 200 degrees, just make sure to check on them more frequently. Oven-dried tomatoes are the closest most of us can get to sun-dried tomatoes at home. Dried tomatoes have a sweeter, concentrated taste and add tons of flavor to soups, sauces, and whatever else you want to throw them in. 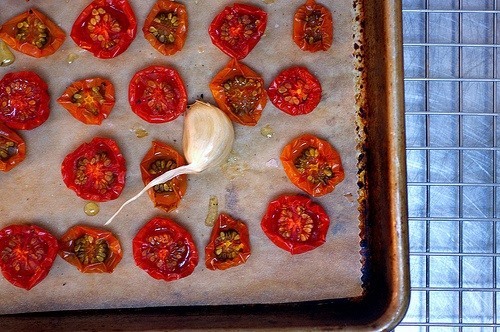 Keep in mind when you're slicing that the tomatoes will shrink quite a bit in the oven. About three hours at 225 degrees will give you shriveled but still slightly moist tomatoes, like these ones from Smitten Kitchen. Since they're not completely dry, they need to be kept refrigerated. 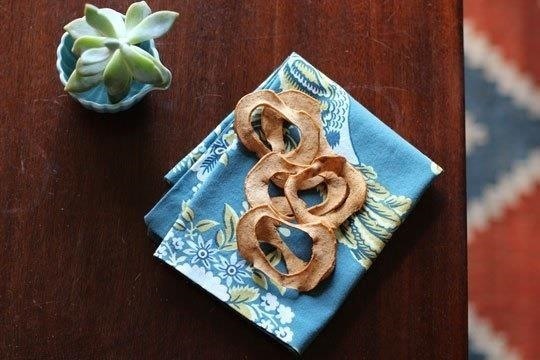 If you want the true leathery dried texture, decrease the heat to 200 degrees and cook them longer. Depending on how big the tomatoes are, it can take up to 8 hours. Almost any fruit can be dried in your oven, and the process is usually very similar, so you really can't go wrong. It's super easy to do, but it does take up a considerable amount of time. Needless to say, it's not something you'd want to do every day, but it's a fun project for a weekend or a rainy day. 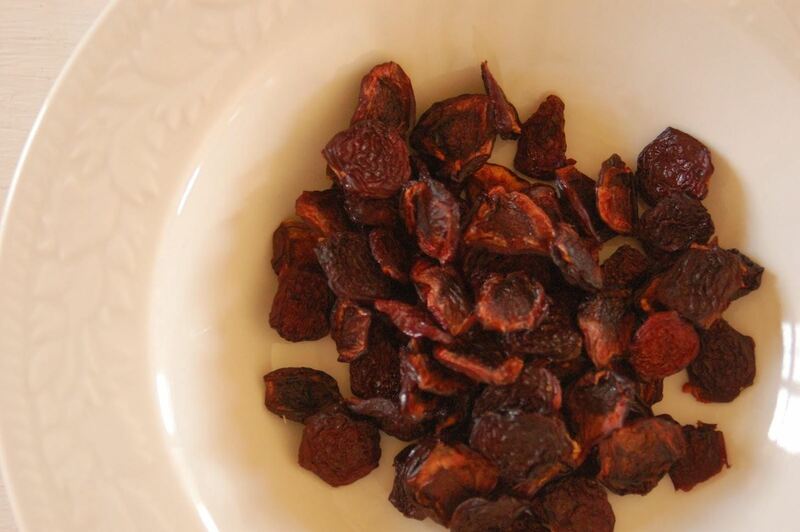 Have you ever dried fruit in your oven? Let us know if you have any tips or tricks in the comments. Degreess are fahrenheit or celcius?